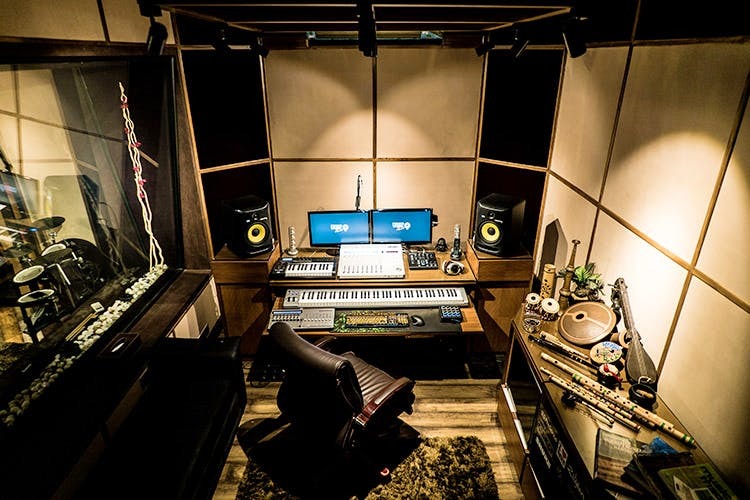 Ferris Wheel Studios in Gurgaon is the new haunt for promoting talent through music. It’s an open space to jam and make some incredible tunes. So if you’re a musician looking for a perfect recording studio, this is where you should be. When we came across such awesome resources for artists looking for spaces to experiment with music, we couldn’t help but check it out for ourselves. With a total of four studios, a jam pad, a chroma room/editing suite, over 30 mics, 4k cameras and top-of-the-line instruments and gear, their arsenal is second to none in the capital. These guys have recently launched Ferris Wheel Jams, a project where their vision is to bring artists from different genres to come together and jam to the latest chart topping songs from around the world. We believe it’s the perfect way to hear some original studio sounds of some famous pop songs. Definitely check out their recent rendition of Ed Sheeran’s Shape Of You on their Facebook page here. Their studio is up for grabs if you want to jam or make some loud noise. Find out more here.